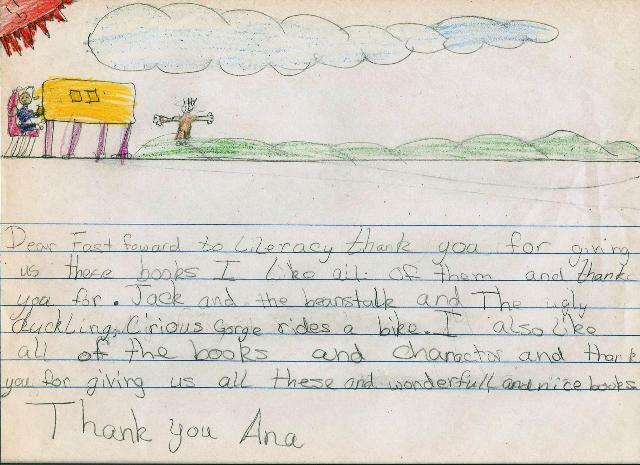 Child after child send us their drawings and letters of gratitude for the books that they take home. Fast Forward to Literacy would like to recognize Dr. and Mrs. Edward Melton for their outstanding volunteer service. Fast Forward to Literacy's mission, is to provide a home library of ten new books to each child enrolled in Head Start/Preschool programs in the Arkansas and San Luis Valleys. Learning to read is critical to a child's success and his future. Having access to books at home providing language interaction between parents and children is one of the best paths for reaching this goal.